Darkest Dungeon has been on PC for a while, but its PS4 and Vita versions have been delayed to this summer. In a post on the Red Hook Studios blog, the developer announced that while the Linux version of its persistent roguelike is now available, the PS4 and Vita versions (originally slated for spring 2016) have been delayed to late July or early August. The delay is to allow more time for polish, the developer said. "We want to make sure that all of the Town Event contents we are working on now are solid for inclusion into the console release, as well as making sure it runs like butter and plays well with a controller." Delays are never fun, but if it improves the game, it's probably worthwhile. 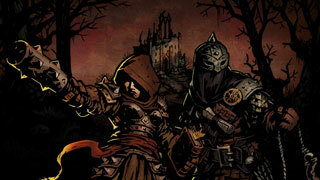 Darkest Dungeon's PC version took The Escapist by storm. Marshall Lemon described it, saying, "Darkest Dungeon will kill your party, drive you insane, and leave you a gibbering mess at the Sanitarium. Yet it's so compelling and rewarding at the same time, you won't be able to resist diving back in for one more quest."